Regional Centre of Advanced Technologies and Materials, Faculty of Science, Department of Physical Chemistry, Palacky University, Šlechtitelů 11, 783 71, Olomouc, Czech Republic. Worked as a Visiting Faculty and Conduct Chemistry Practicals for S.Y. B. Tech and F. Y. Chem. Engg. Students at Department of Chemistry, Institute of Chemical Technology, (Formerly UDCT) Matunga Mumbai, India.ictmumbai. Worked as a Lecturer (Assistant Professor) for undergraduate students at Shivaji Senior College Chikhali, Amravati, University Amravati, MH, India. nominated by rector of Palacky University, Olomouc Czech Republic from 1st November 2017. By Dean of Palacky University, Olomouc, Czech Republic for the best publications output in eminent journals. Funded by Fundação para a Ciência e a Tecnologia (FCT), Lisbon, Portugal. Awarded by Fundação para a Ciência e a Tecnologia (FCT), Lisbon, Portugal. Awarded BK-21 Scholarship, Kyungpook National University School of Medicine, Joong-gu, Daegu 700-422, South Korea. Awarded by Council of Scientific Industrial Research (CSIR) New Delhi, India. M. B. Gawande, A. Goswami, T. Asefa, H. Guo, A. V. Biradar, D. Peng, R. Zboril, R. S. Varma: Core–shell nanoparticles: synthesis and applications in catalysis and electrocatalysis, CHEM. SOC. REV., Advance Article, 2015. M. d’Halluin, T. Mabit, N. Fairley, V. Fernandez, M. B. Gawande, E. Le Grognec, F. Felpin: Graphite-supported ultra-small copper nanoparticles – Preparation, characterization and catalysis applications, CARBON vol. 93, pp. 974-983, 2015. M. B. Gawande: Metal-Catalyzed Reactions in Water. Edited by P. H. Dixneuf, V. Cadierno, CHEMSUSCHEM vol. 8, iss. 15, pp. 2569-2569, 2015. A. K. Rathi, M. B. Gawande, V. Ranc, J. Pechousek, M. Petr, K. Cepe, R. S. Varma, R. Zboril: Continuous flow transfer hydrogenation of nitroarenes, azides and alkenes using maghemite-Pd nanocomposites, CATAL. SCI. TECHNOL., Accepted Manuscript, 2015. M. B. Gawande, V. D. B. Bonifácio, R. Luque, P. S. Branco and R. S. Varma: "Benign by design: catalyst-free in-water, on-water green chemical methodologies in organic synthesis", CHEM. SOC. REV., vol. 42, iss. 12, pp. 5522, 2013. M. B. Gawande, P. S. Branco and R. S. Varma: "Nano-magnetite (Fe3O4) as a support for recyclable catalysts in the development of sustainable methodologies", CHEM. SOC. REV., vol. 42, iss. 8, pp. 3371, 2013. M. B. Gawande, A. Rathi, I. D. Nogueira, C. A. A. Ghumman, N. Bundaleski, O. M. N. D. Teodoro and P. S. Branco: "A Recyclable Ferrite-Co Magnetic Nanocatalyst for the Oxidation of Alcohols to Carbonyl Compounds", CHEMPLUSCHEM, vol. 77, iss. 10, pp. 865-871, 2013. S. N. Shelke, G. R. Mhaske, V. D. Bonifácio and M. B. Gawande: "Green synthesis and anti-infective activities of fluorinated pyrazoline derivatives", BIOORGANIC & MEDICINAL CHEMISTRY LETTERS, vol. 22, iss. 17, pp. 5727-5730, 2013. M. B. Gawande, R. K. Pandey and R. V. Jayaram: "Role of mixed metal oxides in catalysis science—versatile applications in organic synthesis", CATAL. SCI. TECHNOL., vol. 2, iss. 6, pp. 1113, 2013. M. B. Gawande and P. S. Branco: "An efficient and expeditious Fmoc protection of amines and amino acids in aqueous media", GREEN CHEM., vol. 13, iss. 12, pp. 3355, 2013. M. B. Gawande, S. N. Shelke, P. S. Branco, A. Rathi and R. K. Pandey: "Mixed metal MgO-ZrO2 nanoparticle-catalyzed O-tert-Boc protection of alcohols and phenols under solvent-free conditions", APPL. ORGANOMETAL. CHEM., vol. 26, iss. 8, pp. 395-400, 2013. Nanoparticles are regarded as attractive candidates for heterogeneous catalysis in various imperative catalytic processes as they are now easy to synthesize with a desired size, structure, morphology and composition. Keeping in mind the current environmental sustainability concerns, it is important to design inexpensive and benign nanocatalysts for organic transformations/catalytic processess. Over the last decade, a variety of new types of nanocatalysts have been investigated, including well-defined morphology depdendent catalysts, single-atom catalysts, core–shell and yolk–shell nanocatalysts, silica-based hybrid catalysts, 2 D graphene-based materials and 2D single metal or mixed metal ionic nanocatalysts. The ascent of these complex nanomaterials over the last few years has enabled chemists to understand traditional catalysts from a new perspective. The aim of these hot research areas is to desinged the materials based on highly important targated catalytic, organic transformations and Photo (electro) catalysis applications. R. G. Kadam, M. Petr, R. Zboril, M. B. Gawande, and R. V. Jayaram, "Hexagonal Mesoporous Silica Supported Ultrasmall Copper Oxides for Oxidative Amidation of Carboxylic Acids," ACS SUSTAINABLE CHEMISTRY & ENGINEERING, vol. 6, iss. 10, pp. 12935-12945, 2018. D. Nandan, G. Zoppellaro, I. Medrik, C. Aparicio, P. Kumar, M. Petr, O. Tomanec, M. B. Gawande, R. S. Varma, and R. Zboril, "Cobalt-entrenched N-, O-, and S-tridoped carbons as efficient multifunctional sustainable catalysts for base-free selective oxidative esterification of alcohols," GREEN CHEMISTRY, vol. 20, iss. 15, pp. 3542-3556, 2018. V. B. Gade, A. Goswami, R. S. Varma, S. N. Shelke, and M. B. Gawande, "Iron Oxide-Cobalt Nanocatalyst for O-tert-Boc Protection and O-Arylation of Phenols," NANOMATERIALS, vol. 8, iss. 4, 2018. V. C. Anitha, A. Goswami, H. Sopha, D. Nandan, M. B. Gawande, K. Cepe, S. Ng, R. Zboril, and J. M. Macak, "Pt nanoparticles decorated TiO2 nanotubes for the reduction of olefins," APPLIED MATERIALS TODAY, vol. 10, pp. 86-92, 2018. R. K. Sharma, R. Gaur, M. Yadav, A. Goswami, R. Zboril, and M. B. Gawande, "An efficient copper-based magnetic nanocatalyst for the fixation of carbon dioxide at atmospheric pressure," SCIENTIFIC REPORTS, vol. 8, 2018. Y. Hou, Y. Liu, R. Gao, Q. Li, H. Guo, A. Goswami, R. Zboril, M. B. Gawande, and X. Zou, "Ag[at]CoXP Core-Shell Heterogeneous Nanoparticles as Efficient Oxygen Evolution Reaction Catalysts," ACS CATALYSIS, vol. 7, iss. 10, pp. 7038-7042, 2017. K. J. Datta, A. K. Rathi, P. Kumar, J. Kaslik, I. Medrik, V. Ranc, R. S. Varma, R. Zboril, and M. B. Gawande, "Synthesis of flower-like magnetite nanoassembly: Application in the efficient reduction of nitroarenes," SCIENTIFIC REPORTS, vol. 7, 2017. M. Gawande, R. Varma, and R. Zboril, "Sustainable nanomaterials: Synthesis and applications in catalysis," ABSTRACTS OF PAPERS OF THE AMERICAN CHEMICAL SOCIETY, vol. 254, 2017. D. Peixoto, M. Figueiredo, M. B. Gawande, M. C. Corvo, G. Vanhoenacker, C. A. M. Afonso, L. M. Ferreira, and P. S. Branco, "Developments in the Reactivity of 2-Methylimidazolium Salts," JOURNAL OF ORGANIC CHEMISTRY, vol. 82, iss. 12, pp. 6232-6241, 2017. A. B. Bourlinos, A. K. Rathi, M. B. Gawande, K. Hola, A. Goswami, S. Kalytchuk, M. A. Karakassides, A. Kouloumpis, D. Gournis, Y. Deligiannakis, E. P. Giannelis, and R. Zboril, "Fe(III)-functionalized carbon dots Highly efficient photoluminescence redox catalyst for hydrogenations of olefins and decomposition of hydrogen peroxide," APPLIED MATERIALS TODAY, vol. 7, pp. 179-184, 2017. V. B. Gade, A. K. Rathi, S. B. Bhalekar, J. Tucek, O. Tomanec, R. S. Varma, R. Zboril, S. N. Shelke, and M. B. Gawande, "Iron-Oxide-Supported Ultrasmall ZnO Nanoparticles: Applications for Transesterification, Amidation, and O-Acylation Reactions," ACS SUSTAINABLE CHEMISTRY & ENGINEERING, vol. 5, iss. 4, pp. 3314-3320, 2017. R. G. Kadam, A. K. Rathi, K. Cepe, R. Zboril, R. S. Varma, M. B. Gawande, and R. V. Jayaram, "Hexagonal Mesoporous Silica-Supported Copper Oxide (CuO/HMS) Catalyst: Synthesis of Primary Amides from Aldehydes in Aqueous Medium," CHEMPLUSCHEM, vol. 82, iss. 3, pp. 467-473, 2017. A. Goswami, A. K. Rathi, C. Aparicio, O. Tomanec, M. Petr, R. Pocklanova, M. B. Gawande, R. S. Varma, and R. Zboril, "In Situ Generation of Pd-Pt Core-Shell Nanoparticles on Reduced Graphene Oxide (Pd[at]Pt/rGO) Using Microwaves: Applications in Dehalogenation Reactions and Reduction of Olefins," ACS APPLIED MATERIALS & INTERFACES, vol. 9, iss. 3, pp. 2815-2824, 2017. D. S. Doke, S. B. Umbarkar, M. B. Gawande, R. Zbori, and A. V. Biradar, "Environmentally Benign Bioderived Carbon Microspheres-Supported Molybdena Nanoparticles as Catalyst for the Epoxidation Reaction," ACS SUSTAINABLE CHEMISTRY & ENGINEERING, vol. 5, iss. 1, pp. 904-910, 2017. R. K. Sharma, M. Yadav, R. Gaur, R. Gupta, A. Adholeya, and M. B. Gawande, "Synthesis of Iron Oxide Palladium Nanoparticles and Their Catalytic Applications for Direct Coupling of Acyl Chlorides with Alkynes," CHEMPLUSCHEM, vol. 81, iss. 12, pp. 1312-1319, 2016. R. Pocklanova, A. K. Rathi, M. B. Gawande, K. K. R. Datta, V. Ranc, K. Cepe, M. Petr, R. S. Varma, L. Kvitek, and R. Zboril, "Gold nanoparticle-decorated graphene oxide: Synthesis and application in oxidation reactions under benign conditions," JOURNAL OF MOLECULAR CATALYSIS A-CHEMICAL, vol. 424, pp. 121-127, 2016. S. Disale, S. Kale, G. Abraham, S. Kahandal, A. N. Sawarkar, and M. B. Gawande, "A Sustainable and Efficient Synthesis of Benzyl Phosphonates Using PEG/KI Catalytic System," FRONTIERS IN CHEMISTRY, vol. 4, 2016. K. J. Datta, A. K. Rathi, M. B. Gawande, V. Ranc, G. Zoppellaro, R. S. Varma, and R. Zboril, "Base-Free Transfer Hydrogenation of Nitroarenes Catalyzed by Micro-Mesoporous Iron Oxide," CHEMCATCHEM, vol. 8, iss. 14, pp. 2351-2355, 2016. R. K. Sharma, S. Dutta, S. Sharma, R. Zboril, R. S. Varma, and M. B. Gawande, "Fe3O4 (iron oxide)-supported nanocatalysts: synthesis, characterization and applications in coupling reactions," GREEN CHEMISTRY, vol. 18, iss. 11, pp. 3184-3209, 2016. M. B. Gawande, A. Goswami, F. Felpin, T. Asefa, X. Huang, R. Silva, X. Zou, R. Zboril, and R. S. Varma, "Cu and Cu-Based Nanoparticles: Synthesis and Applications in Review Catalysis," CHEMICAL REVIEWS, vol. 116, iss. 6, pp. 3722-3811, 2016. A. K. Rathi, M. Gawande, J. Filip, R. Varma, and R. Zboril, "Magnetic nanocatalysts for benign organic transformations," ABSTRACTS OF PAPERS OF THE AMERICAN CHEMICAL SOCIETY, vol. 251, 2016. R. K. Sharma, M. Yadav, Y. Monga, R. Gaur, A. Adholeya, R. Zboril, R. S. Varma, and M. B. Gawande, "Silica-Based Magnetic Manganese Nanocatalyst - Applications in the Oxidation of Organic Halides and Alcohols," ACS SUSTAINABLE CHEMISTRY & ENGINEERING, vol. 4, iss. 3, pp. 1123-1130, 2016. K. J. Datta, K. K. R. Datta, M. B. Gawande, V. Ranc, K. Cepe, V. Malgras, Y. Yamauchi, R. S. Varma, and R. Zboril, "Pd[at]Pt Core-Shell Nanoparticles with Branched Dandelion-like Morphology as Highly Efficient Catalysts for Olefin Reduction," CHEMISTRY-A EUROPEAN JOURNAL, vol. 22, iss. 5, pp. 1577-1581, 2016. R. K. Sharma, M. Yadav, and M. B. Gawande, "Silica-Coated Magnetic Nano-Particles: Application in Catalysis," in FERRITES AND FERRATES: CHEMISTRY AND APPLICATIONS IN SUSTAINABLE ENERGY AND ENVIRONMENTAL REMEDIATION, 2016, pp. 1-38. A. K. Rathi, R. Zboril, R. S. Varma, and M. B. Gawande, "Magnetite (Ferrites)-Supported Nano-Catalysts: Sustainable Applications in Organic Transformations," in FERRITES AND FERRATES: CHEMISTRY AND APPLICATIONS IN SUSTAINABLE ENERGY AND ENVIRONMENTAL REMEDIATION, 2016, pp. 39-78. T. M. Lima, C. G. S. Lima, A. K. Rathi, M. B. Gawande, J. Tucek, E. A. Urquieta-Gonzalez, R. Zboril, M. W. Paixao, and R. S. Varma, "Magnetic ZSM-5 zeolite: a selective catalyst for the valorization of furfuryl alcohol to gamma-valerolactone, alkyl levulinates or levulinic acid," GREEN CHEMISTRY, vol. 18, iss. 20, pp. 5586-5593, 2016. A. K. Rathi, M. B. Gawande, J. Pechousek, J. Tucek, C. Aparicio, M. Petr, O. Tomanec, R. Krikavova, Z. Travnicek, R. S. Varma, and R. Zboril, "Maghemite decorated with ultra-small palladium nanoparticles (gamma-Fe2O3-Pd): applications in the Heck-Mizoroki olefination, Suzuki reaction and allylic oxidation of alkenes," GREEN CHEMISTRY, vol. 18, iss. 8, pp. 2363-2373, 2016. K. J. Datta, M. B. Gawande, K. K. R. Datta, V. Ranc, J. Pechousek, M. Krizek, J. Tucek, R. Kale, P. Pospisil, R. S. Varma, T. Asefa, G. Zoppellaro, and R. Zboril, "Micro-mesoporous iron oxides with record efficiency for the decomposition of hydrogen peroxide: morphology driven catalysis for the degradation of organic contaminants," JOURNAL OF MATERIALS CHEMISTRY A, vol. 4, iss. 2, pp. 596-604, 2016. A. K. Rathi, M. B. Gawande, V. Ranc, J. Pechousek, M. Petr, K. Cepe, R. S. Varma, and R. Zboril, "Continuous flow hydrogenation of nitroarenes, azides and alkenes using maghemite-Pd nanocomposites," CATALYSIS SCIENCE & TECHNOLOGY, vol. 6, iss. 1, pp. 152-160, 2016. R. K. Sharma, R. Gaur, M. Yadav, A. K. Rathi, J. Pechousek, M. Petr, R. Zboril, and M. B. Gawande, "Maghemite-Copper Nanocomposites: Applications for Ligand-Free Cross-Coupling (C-O, C-S, and C-N) Reactions," CHEMCATCHEM, vol. 7, iss. 21, pp. 3495-3502, 2015. M. d'Halluin, T. Mabit, N. Fairley, V. Fernandez, M. B. Gawande, E. Le Grognec, and F. Felpin, "Graphite-supported ultra-small copper nanoparticles - Preparation, characterization and catalysis applications," CARBON, vol. 93, pp. 974-983, 2015. A. K. Rathi, M. B. Gawande, R. Zboril, and R. S. Varma, "Microwave-assisted synthesis - Catalytic applications in aqueous media," COORDINATION CHEMISTRY REVIEWS, vol. 291, pp. 68-94, 2015. M. B. Gawande, Y. Monga, R. Zboril, and R. K. Sharma, "Silica-decorated magnetic nanocomposites for catalytic applications," COORDINATION CHEMISTRY REVIEWS, vol. 288, pp. 118-143, 2015. M. B. Gawande, R. Varma, L. Kvitek, and R. Zboril, "Advanced nanomaterials: Synthesis and catalytic applications," ABSTRACTS OF PAPERS OF THE AMERICAN CHEMICAL SOCIETY, vol. 249, 2015. M. B. Gawande, A. Goswami, T. Asefa, H. Guo, A. V. Biradar, D. Peng, R. Zboril, and R. S. Varma, "Core-shell nanoparticles: synthesis and applications in catalysis and electrocatalysis," CHEMICAL SOCIETY REVIEWS, vol. 44, iss. 21, pp. 7540-7590, 2015. R. K. Sharma, S. Sharma, S. Dutta, R. Zboril, and M. B. Gawande, "Silica-nanosphere-based organic-inorganic hybrid nanomaterials: synthesis, functionalization and applications in catalysis," GREEN CHEMISTRY, vol. 17, iss. 6, pp. 3207-3230, 2015. M. B. Gawande, "Sustainable Catalysts and Benign Organic Transformations," CURRENT ORGANIC CHEMISTRY, vol. 19, iss. 8, pp. 665-666, 2015. S. S. Banerjee, K. J. Todkar, G. V. Khutale, G. P. Chate, A. V. Biradar, M. B. Gawande, R. Zboril, and J. J. Khandare, "Calcium phosphate nanocapsule crowned multiwalled carbon nanotubes for pH triggered intracellular anticancer drug release," JOURNAL OF MATERIALS CHEMISTRY B, vol. 3, iss. 19, pp. 3931-3939, 2015. M. B. Gawande, R. Zboril, V. Malgras, and Y. Yamauchi, "Integrated nanocatalysts: a unique class of heterogeneous catalysts," JOURNAL OF MATERIALS CHEMISTRY A, vol. 3, iss. 16, pp. 8241-8245, 2015. A. S. Burange, M. B. Gawande, F. L. Y. Lam, R. V. Jayaram, and R. Luque, "Heterogeneously catalyzed strategies for the deconstruction of high density polyethylene: plastic waste valorisation to fuels," GREEN CHEMISTRY, vol. 17, iss. 1, pp. 146-156, 2015. M. B. Gawande, R. Luque, and R. Zboril, "The Rise of Magnetically Recyclable Nanocatalysts," CHEMCATCHEM, vol. 6, iss. 12, pp. 3312-3313, 2014. M. B. Gawande, A. K. Rathi, J. Tucek, K. Safarova, N. Bundaleski, O. M. N. D. Teodoro, L. Kvitek, R. S. Varma, and R. Zboril, "Magnetic gold nanocatalyst (nanocat-Fe-Au): catalytic applications for the oxidative esterification and hydrogen transfer reactions," GREEN CHEMISTRY, vol. 16, iss. 9, pp. 4137-4143, 2014. J. K. Datta, M. B. Gawande, R. S. Varma, and R. Zboril, "Morphology controlled porous iron oxides: Applications in decomposition of hydrogen peroxide and degradation of organic contaminants," ABSTRACTS OF PAPERS OF THE AMERICAN CHEMICAL SOCIETY, vol. 248, 2014. M. B. Gawande, A. K. Rathi, L. B. Kvitek, R. S. Varma, and R. B. Zboril, "Advanced nanomaterials: Sustainable preparations and their catalytic applications," ABSTRACTS OF PAPERS OF THE AMERICAN CHEMICAL SOCIETY, vol. 248, 2014. R. S. Varma, M. B. Gawande, and R. Zboril, "Sustainable catalytic transformations using magnetically retrievable nano-catalysts," ABSTRACTS OF PAPERS OF THE AMERICAN CHEMICAL SOCIETY, vol. 248, 2014. S. N. Shelke, S. R. Bankar, G. R. Mhaske, S. S. Kadam, D. K. Murade, S. B. Bhorkade, A. K. Rathi, N. Bundaleski, O. M. N. D. Teodoro, R. Zboril, R. S. Varma, and M. B. Gawande, "Iron Oxide-Supported Copper Oxide Nanoparticles (Nanocat-Fe-CuO): Magnetically Recyclable Catalysts for the Synthesis of Pyrazole Derivatives, 4-Methoxyaniline, and Ullmann-type Condensation Reactions," ACS SUSTAINABLE CHEMISTRY & ENGINEERING, vol. 2, iss. 7, pp. 1699-1706, 2014. M. B. Gawande, S. N. Shelke, R. Zboril, and R. S. Varma, "Microwave-Assisted Chemistry: Synthetic Applications for Rapid Assembly of Nanomaterials and Organics," ACCOUNTS OF CHEMICAL RESEARCH, vol. 47, iss. 4, pp. 1338-1348, 2014. S. J. Singh, S. R. Kale, M. B. Gawande, A. Velhinho, and R. V. Jayaram, "A synthesis of copper based metal-organic framework for O-acetylation of alcohols," CATALYSIS COMMUNICATIONS, vol. 44, iss. SI, pp. 24-28, 2014. M. B. Gawande, R. Hosseinpour, and R. Luque, "Silica Sulfuric Acid and Related Solid-supported Catalysts as Versatile Materials for Greener Organic Synthesis," CURRENT ORGANIC SYNTHESIS, vol. 11, iss. 4, pp. 526-544, 2014. M. B. Gawande, V. D. B. Bonifacio, R. Luque, P. S. Branco, and R. S. Varma, "Solvent-Free and Catalysts-Free Chemistry: A Benign Pathway to Sustainability," CHEMSUSCHEM, vol. 7, iss. 1, pp. 24-44, 2014. S. S. Kahandal, S. R. Kale, M. B. Gawande, and R. V. Jayaram, "A mild route for one pot synthesis of 5,6-unsubstituted 1,4-dihydropyridines catalyzed by sulphated mixed metal oxides," CATALYSIS SCIENCE & TECHNOLOGY, vol. 4, iss. 3, pp. 672-680, 2014. S. S. Kahandal, S. R. Kale, M. B. Gawande, R. Zboril, R. S. Varma, and R. V. Jayaram, "Greener iodination of arenes using sulphated ceria-zirconia catalysts in polyethylene glycol," RSC ADVANCES, vol. 4, iss. 12, pp. 6267-6274, 2014. A. S. Burange, S. R. Kale, R. Zboril, M. B. Gawande, and R. V. Jayaram, "Magnetically retrievable MFe2O4 spinel (M = Mn, Co, Cu, Ni, Zn) catalysts for oxidation of benzylic alcohols to carbonyls," RSC ADVANCES, vol. 4, iss. 13, pp. 6597-6601, 2014. S. Sa, M. B. Gawande, A. Velhinho, J. P. Veiga, N. Bundaleski, J. Trigueiro, A. Tolstogouzov, O. M. N. D. Teodoro, R. Zboril, R. S. Varma, and P. S. Branco, "Magnetically recyclable magnetite-palladium (Nanocat-Fe-Pd) nanocatalyst for the Buchwald-Hartwig reaction," GREEN CHEMISTRY, vol. 16, iss. 7, pp. 3494-3500, 2014. M. B. Gawande, A. K. Rathi, P. S. Branco, and R. S. Varma, "Sustainable Utility of Magnetically Recyclable Nano-Catalysts in Water: Applications in Organic Synthesis," APPLIED SCIENCES-BASEL, vol. 3, iss. 4, pp. 656-674, 2013. H. Guo, X. Liu, Q. Xie, L. Wang, D. Peng, P. S. Branco, and M. B. Gawande, "Disproportionation route to monodispersed copper nanoparticles for the catalytic synthesis of propargylamines," RSC ADVANCES, vol. 3, iss. 43, pp. 19812-19815, 2013. S. R. Kale, S. S. Kahandal, A. S. Burange, M. B. Gawande, and R. V. Jayaram, "A benign synthesis of 2-amino-4H-chromene in aqueous medium using hydrotalcite (HT) as a heterogeneous base catalyst," CATALYSIS SCIENCE & TECHNOLOGY, vol. 3, iss. 8, pp. 2050-2056, 2013. M. B. Gawande, A. K. Rathi, I. D. Nogueira, R. S. Varma, and P. S. Branco, "Magnetite-supported sulfonic acid: a retrievable nanocatalyst for the Ritter reaction and multicomponent reactions," GREEN CHEMISTRY, vol. 15, iss. 7, pp. 1895-1899, 2013. M. B. Gawande, V. D. B. Bonifacio, R. Luque, P. S. Branco, and R. S. Varma, "Benign by design: catalyst-free in-water, on-water green chemical methodologies in organic synthesis," CHEMICAL SOCIETY REVIEWS, vol. 42, iss. 12, pp. 5522-5551, 2013. S. R. Kale, S. S. Kahandal, M. B. Gawande, and R. V. Jayaram, "Magnetically recyclable gamma-Fe2O3-HAP nanoparticles for the cycloaddition reaction of alkynes, halides and azides in aqueous media," RSC ADVANCES, vol. 3, iss. 22, pp. 8184-8192, 2013. M. B. Gawande, V. D. B. Bonifacio, R. S. Varma, I. D. Nogueira, N. Bundaleski, A. C. A. Ghumman, O. M. N. D. Teodoro, and P. S. Branco, "Magnetically recyclable magnetite-ceria (Nanocat-Fe-Ce) nanocatalyst - applications in multicomponent reactions under benign conditions," GREEN CHEMISTRY, vol. 15, iss. 5, pp. 1226-1231, 2013. K. D. Parghi, S. R. Kale, S. S. Kahandal, M. B. Gawande, and R. V. Jayaram, "Sequential synthesis of beta-amino alcohols using a CeO2-ZrO2 bifunctional catalyst system," CATALYSIS SCIENCE & TECHNOLOGY, vol. 3, iss. 5, pp. 1308-1313, 2013. M. B. Gawande, P. S. Branco, and R. S. Varma, "Nano-magnetite (Fe3O4) as a support for recyclable catalysts in the development of sustainable methodologies," CHEMICAL SOCIETY REVIEWS, vol. 42, iss. 8, pp. 3371-3393, 2013. M. B. Gawande, P. S. Branco, I. D. Nogueira, A. C. A. Ghumman, N. Bundaleski, A. Santos, O. M. N. D. Teodoro, and R. Luque, "Catalytic applications of a versatile magnetically separable Fe-Mo (Nanocat-Fe-Mo) nanocatalyst," GREEN CHEMISTRY, vol. 15, iss. 3, pp. 682-689, 2013. M. B. Gawande, A. K. Rathi, P. S. Branco, T. M. Potewar, A. Velhinho, I. D. Nogueira, A. Tolstogouzov, A. C. A. Ghumman, and O. M. N. D. Teodoro, "Nano-MgO-ZrO2 mixed metal oxides: characterization by SIMS and application in the reduction of carbonyl compounds and in multicomponent reactions," RSC ADVANCES, vol. 3, iss. 11, pp. 3611-3617, 2013. M. B. Gawande, H. Guo, A. K. Rathi, P. S. Branco, Y. Chen, R. S. Varma, and D. Peng, "First application of core-shell Ag@Ni magnetic nanocatalyst for transfer hydrogenation reactions of aromatic nitro and carbonyl compounds," RSC ADVANCES, vol. 3, iss. 4, pp. 1050-1054, 2013. M. B. Gawande, A. Rathi, I. D. Nogueira, C. A. A. Ghumman, N. Bundaleski, O. M. N. D. Teodoro, and P. S. Branco, "A Recyclable Ferrite-Co Magnetic Nanocatalyst for the Oxidation of Alcohols to Carbonyl Compounds," CHEMPLUSCHEM, vol. 77, iss. 10, pp. 865-871, 2012. M. B. Gawande, A. K. Rathi, P. S. Branco, I. D. Nogueira, A. Velhinho, J. J. Shrikhande, U. U. Indulkar, R. V. Jayaram, A. C. A. Ghumman, N. Bundaleski, and O. M. N. D. Teodoro, "Regio- and Chemoselective Reduction of Nitroarenes and Carbonyl Compounds over Recyclable Magnetic Ferrite-Nickel Nanoparticles (Fe3O4-Ni) by Using Glycerol as a Hydrogen Source," CHEMISTRY-A EUROPEAN JOURNAL, vol. 18, iss. 40, pp. 12628-12632, 2012. S. N. Shelke, G. R. Mhaske, V. D. B. Bonifacio, and M. B. Gawande, "Green synthesis and anti-infective activities of fluorinated pyrazoline derivatives," BIOORGANIC & MEDICINAL CHEMISTRY LETTERS, vol. 22, iss. 17, pp. 5727-5730, 2012. M. B. Gawande, S. N. Shelke, P. S. Branco, A. Rathi, and R. K. Pandey, "Mixed metal MgO-ZrO2 nanoparticle-catalyzed O-tert-Boc protection of alcohols and phenols under solvent-free conditions," APPLIED ORGANOMETALLIC CHEMISTRY, vol. 26, iss. 8, pp. 395-400, 2012. U. U. Indulkar, S. R. Kale, M. B. Gawande, and R. V. Jayaram, "Ecofriendly and facile Nano ZnO catalyzed solvent-free enamination of 1,3-dicarbonyls," TETRAHEDRON LETTERS, vol. 53, iss. 30, pp. 3857-3860, 2012. M. B. Gawande, A. Velhinho, I. D. Nogueira, C. A. A. Ghumman, O. M. N. D. Teodoro, and P. S. Branco, "A facile synthesis of cysteine-ferrite magnetic nanoparticles for application in multicomponent reactions-a sustainable protocol," RSC ADVANCES, vol. 2, iss. 15, pp. 6144-6149, 2012. M. B. Gawande, R. K. Pandey, and R. V. Jayaram, "Role of mixed metal oxides in catalysis science-versatile applications in organic synthesis," CATALYSIS SCIENCE & TECHNOLOGY, vol. 2, iss. 6, pp. 1113-1125, 2012. M. B. Gawande, D. M. Nagrik, and D. M. Ambhore, "A One Pot Green Synthesis of 3,4 Dihydropyrimidin-2-(1H)-ones/Thiones Catalyzed By MgO-ZrO2 Under Solvent-Free Conditions," LETTERS IN ORGANIC CHEMISTRY, vol. 9, iss. 1, pp. 12-18, 2012. M. B. Gawande, P. S. Branco, K. Parghi, J. J. Shrikhande, R. K. Pandey, C. A. A. Ghumman, N. Bundaleski, O. M. N. D. Teodoro, and R. V. Jayaram, "Synthesis and characterization of versatile MgO-ZrO2 mixed metal oxide nanoparticles and their applications," CATALYSIS SCIENCE & TECHNOLOGY, vol. 1, iss. 9, pp. 1653-1664, 2011. M. B. Gawande and P. S. Branco, "An efficient and expeditious Fmoc protection of amines and amino acids in aqueous media," GREEN CHEMISTRY, vol. 13, iss. 12, pp. 3355-3359, 2011. J. J. Shrikhande, M. B. Gawande, and R. V. Jayaram, "A catalyst-free N-benzyloxycarbonylation of amines in aqueous micellar media at room temperature," TETRAHEDRON LETTERS, vol. 49, iss. 32, pp. 4799-4803, 2008. S. V. Nadkarni, M. B. Gawande, R. V. Jayaram, and J. M. Nagarkar, "Synthesis of bis(indolyl)methanes catalyzed by surface modified zirconia," CATALYSIS COMMUNICATIONS, vol. 9, iss. 8, pp. 1728-1733, 2008. J. J. Shrikhande, M. B. Gawande, and R. V. Jayaram, "Cross-aldol and Knoevenagel condensation reactions in aqueous micellar media," CATALYSIS COMMUNICATIONS, vol. 9, iss. 6, pp. 1010-1016, 2008. M. B. Gawande, V. Polshettiwar, V. S. B. Rajender, and R. V. Jayaram, "An efficient and chemoselective Cbz-protection of amines using silica-sulfuric acid at room temperature," TETRAHEDRON LETTERS, vol. 48, iss. 46, pp. 8170-8173, 2007. S. U. Sonavane, M. B. Gawande, S. S. Deshpande, A. Venkataraman, and R. V. JayaraM, "Chemoselective transfer hydrogenation reactions over nanosized gamma-Fe2O3 catalyst prepared by novel combustion route," CATALYSIS COMMUNICATIONS, vol. 8, iss. 11, pp. 1803-1806, 2007. M. B. Gawande, S. S. Deshpande, J. R. Satam, and R. V. Jayaram, "A novel N-alkylation of amines by alkyl halides on mixed oxides at room temperature," CATALYSIS COMMUNICATIONS, vol. 8, iss. 3, pp. 576-582, 2007. J. R. Satam, M. B. Gawande, S. S. Deshpande, and R. V. Jayaram, "SO(4)(2)-/SnO(2): Efficient, chemoselective, and reusable catalyst for acylation of alcohols, phenols, and Amines at room temperature," SYNTHETIC COMMUNICATIONS, vol. 37, iss. 17, pp. 3011-3020, 2007. M. B. Gawande and R. V. Jayaram, "A novel catalyst for the Knoevenagel condensation of aldehydes with malononitrile and ethyl cyanoacetate under solvent free conditions," CATALYSIS COMMUNICATIONS, vol. 7, iss. 12, pp. 931-935, 2006. M. Gawande, S. Deshpande, S. Sonavane, and R. Jayaram, "A novel sol-gel synthesized catalyst for Friedel-Crafts benzoylation reaction under solvent-free conditions," JOURNAL OF MOLECULAR CATALYSIS A-CHEMICAL, vol. 241, iss. 1-2, pp. 151-155, 2005. 254th ACS national meeting, Washington, USA, 8th August to 26th August 2017. RCPTM Annual meeting, Hotel Galant, Mikulov, Czech Republic. Nanocon conference, Brno, Czech Republic. 68. CONGRESS chemist, Prague 5-8th Sept. 2016. 249th ACS National Meeting, March 13-17, 2016, San Diego. Anuj K. Rathi, Manoj B. Gawande, Radek Zboril, R. S. Varma. 4th Nano Today Conference, December 6-10, 2015, Marriott Hotel, Dubai, UAE. Delivered talk at Nanocon conference, Brno, Czech Republic. Matunga Mumbai India, Date 02-09-2015. Advanced Functional Nanomaterials - Applications in Catalysis"
Technische Universität Dresden, Germany on 29th January 2015. Delivered a lecture at at 249th ACS National Meeting, Denver, USA, 22-26 March 2015. Delivered Lecture at 248th ACS National Meeting, San Francisco, USA, 10-15 August 2014. 248th ACS National Meeting, San Francisco, USA, 10-15 August 2014. Technological University, SPMS, Nanyang Link, Singapore 637371. New University of Lisbon, Portugal. Departmental workshop at KNU University, Daegu, South Korea, August 2009. National conference on Green Chemistry and its Perspective, 11-12th Feb. 2008. Amravati University, Amravati, India (Best Oral Presentation Award). National conference on Green Chemistry and its Perspective, 11-12th Feb. 2008, Amravati University, India. 19th Research scholars meet – 23rd Feb 2007 (RSM-2007), Indian Chemical Society Mumbai, India. Application of mixed metal oxides in organic synthesis under mild conditions. An invited guest lecture delivered for M.Sc. (Chemistry) students at Department of Chemistry, Amravati University, Amravati India. 6th Feb. 2007. 1st International IUPAC Conference on Green-Sustainable Chemistry, 10-15 Sept. 2006, Dresden, Germany. Indian Science Congress Association, 3-6 Jan 2006, Hyderabad, India. ACS – CSIR-OCCB, National Chemical Laboratory, 6-9 January 2006 Pune, India. Second Research Scholars meet, Catschol (Mumbai Chapter) UICT, Nov. 19, 2005. 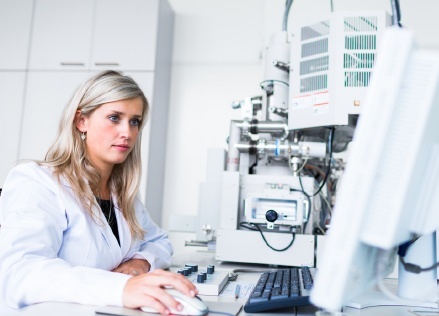 A successful candidate must have a Ph.D. in Chemistry, Catalysis, Material Chemistry, Organic chemistry, or a related discipline, with a proven capacity for world-class research that is reflected in a publication record. In particular, good technical writing skills in English are fundamental. Though research experience in one or more of the aforementioned areas of research is preferred, other related areas of research will also be considered. Those who not have three first author publications in high impact journal please do not apply for this position. The recruited postdoctoral fellows will conduct world-class research work and develop innovative research on nanocatalysis under the supervision of Prof. Radek Zboril and Assoc. Prof. Manoj B. Gawande and will be involved in the publication of research results including high quality journal publications. Furthermore, the recruited postdoctoral fellow may be expected to assist in the supervision of graduate research assistants and to assist in writing external funding proposals. Remuneration is completely depend on applicant's qualifications and experience. We offer a stimulating environment, attractive salary, and a unique opportunity to join two well-known research groups with state of the art instrumentation including cryoHRTEM, AFM, STM, SEM, SQUID, PPMS, LC/MS, PS and advanced Raman spectroscopy, Mössbauer spectroscopy, NMR, and fluorescence spectroscopy. One year (May be two years for extraordinary candidate), renewable annually for a maximum appointment of three years. Interested applicants should e-mail Prof. Radek Zboril (radek.zboril@upol.cz), general director, RCPTM and Asso. Prof. Manoj B. Gawande (manoj.gawande@upol.cz) and with a complete professional CV (including educational background, experience, and a list of publications). If your expertise is of interest to Nanocatalysis Laboratories-RCPTM, you will then be contacted for additional documents (three recommendation letters and a brief statement of research interests/plans). Only selected candidates will be called for interview. Letters of recommendation shall be sent directly to the same email addresses. The main objective of the Regional Centre of Advanced Technologies and Materials (RCPTM) is the regular transfer of the developed high-tech technologies into the medicinal, industrial and environmental practice and the participation of the centre in the prestigious international networks and consortia. 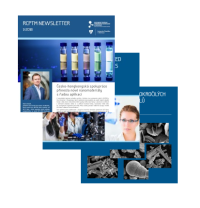 RCPTM focuses predominantly on the top research in the metal oxide nanoparticles for catalytic and magnetic applications, carbon nanostructures, metal nanoparticles for antimicrobial and water treatment technologies, coordination chemistry, photonics, new instrumentation in optics and analytical chemistry.